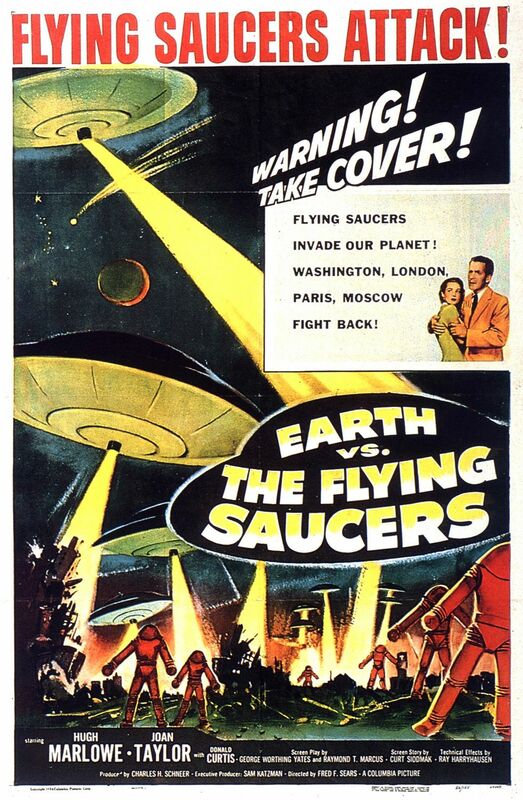 Earth vs the Flying Saucers is one of the very few films that Ray Harryhausen did the stop-motion animation for that isn't that great. That is not to say that the work that Harryhausen did for the film is bad in any way. It is just that the film that the effects are in is less than worthy of the master's animations. The film is about, well the title says it all. Aliens come down to wreck havoc on us humans, destroying monuments and killing people. Of course, the earth fights back. Harryhausen's effects are still amazing to this day. Sure, you can see the imperfections, but who cares. 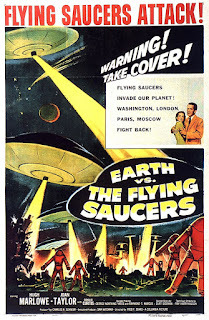 The film is fun because we want to see what Harryhausen is going to show us next. This being a 50's trailer means that the entire film is spelled out for us, but I think that we know where this film is going by now.